Prescription drugs are invaluable tools in the practice of medicine, used to treat numerous illnesses and diseases. However, prescription errors can result in serious injury and death. In the United States, about 1.5 million preventable adverse drug events occur every year. These pharmaceutical errors can result in serious health complications including allergic reactions, organ damage caused by an overdose, infection, stroke, heart failure, and even death. Doctors and pharmacists must follow strict regulations in order to prevent mistakes. In Illinois, the Pharmacy Practice Act (225 ILCS 85) regulates the practice of pharmacy in Illinois. Many prescription medications have serious side effects that should be considered before taking them. Some serious and common side effects include: allergic reactions, heart problems, liver and kidney failure, weight gain/loss, and psychological effects. The doctor prescribing your medication should consider the pros and cons of prescribing the medication as opposed to leaving the condition untreated or prescribing a different medication. When considering whether to prescribe a drug with serious side effects, the doctor should consider your full medical history and information to determine whether you can handle the side effects. Also, when filling a prescription order, pharmacists have a duty to advise you about any side effects that might accompany the use of the prescription medication. Medication errors can result when there is a miscommunication of drug orders. This can involve poor handwriting, confusion between drugs with similar names, misuse of zeroes and decimal points, confusion of metric and other dosing units, and inappropriate abbreviations. As many people know, doctor’s handwriting is often times little more than a scrawl or scribble. Doctors must take reasonable care in correctly and accurately writing prescriptions. One way to reduce the chance of prescription errors is to use electronic prescriptions, removing the risk of errors associated with poor handwriting. However, mistakes can still occur when a doctor types in the wrong prescription order. Therefore, doctors should take extra care when prescribing medications to ensure that no transcribing errors have occurred. Medication errors can also occur when doctors take incomplete patient information. For example, the doctor might not know about the patient’s allergies, any other medications the patient is taking, previous diagnoses, and lab results. Doctors perform best when fully informed about the patient’s history and information. Doctors should ensure that they have a patient’s complete and up to date information before prescribing medication, in order to cut down on medication errors. Pharmacists must ensure that medications have correct labels before selling them to patients. Prescription medication labels should include the name of the drug it contains, the amount to be taken, the time of day to take the medication, and any warnings while taking the drug. When prescription medications are labeled incorrectly, you may end up taking the wrong drug, the wrong dose, the wrong time, or be unaware of warnings about what foods, beverages, or activities to avoid while taking the drug. These mistakes can result in serious complications including liver or kidney damage or death or not receiving the full benefit of the drug’s intended purpose. Even when pharmacists include the correct information on the label, they should go over the recommended dosage, procedures, and warnings to ensure that you understand how to safely and correctly take the medication. This is especially important with older adults who may be unable to read the label. Prescription medications have more serious dangers associated with them than over the counter (OTC) drugs. Therefore, it is important that pharmacists issue the correct drug (the one the doctor prescribed) at the correct dose. Errors in filling prescriptions can result from similar-looking pills, difficult to read physician handwriting, and rushed work at pharmacies. Pharmacists must exercise reasonable care when filling each and every prescription order to ensure that you receive the highest standard of care and avoid injury. In Illinois, registered pharmacy technicians may, under the supervision of a pharmacist, assist in the dispensing process, offer counseling, and receive new verbal prescription orders (225 ILCS 85/9 – Registration as pharmacy technician). Depending on the pace of business at the pharmacy, these pharmacy technicians might not receive proper supervision to ensure the highest standard of care. These mistakes can also cause serious medical complications, either because you take too much or too little of a drug or even taking the wrong drug. Many prescription medications treat serious illness and disease, and besides the risks associated with taking the wrong drug or the wrong dose, are the risks associated with not treating the illness or disease that prompted your doctor to give you a prescription in the first place. Many people, especially older adults, take multiple prescription medications, which are commonly prescribed my multiple doctors. However, problems can occur because the doctors prescribing these medications might not know about the other drugs you are taking. This can lead to serious complications stemming from drug interactions. Drug-drug interactions are not the only type of potentially dangerous drug interactions; there can also be drug interactions with foods, beverages, and dietary supplements. Drug interactions can reduce the effectiveness of drugs, cause unexpected side effects, or increase the action of a particular drug. Drug interactions with food and beverages might result in delayed, decreased, or enhanced absorption of a medication. Dietary supplements can also cause a variety of drug interactions, and with fifty percent of American adults using dietary supplements (vitamins, minerals, amino acids, herbs or botanicals) on a regular basis, the risk of negative drug interactions is high. For example, St. John’s Wort can reduce the concentration of medications in the blood; Vitamin E can increase anti-clotting activity and cause increased risk of bleeding when taken with blood-thinning medication; Ginseng can enhance the bleeding effects of aspirin and ibuprofen; and Ginkgo Biloba can decrease the effectiveness of anticonvulsant therapy. Drug-drug interactions can cause adverse drug reactions. The rate of adverse drug reactions increases significantly when a patient is on four or more medications. This is especially worrisome because almost 40% of Americans receive prescriptions for four or more medications. Because pharmacists fill prescriptions issued by multiple doctors, they are in the best position to catch potentially harmful drug interactions. However, some people use more than one pharmacy for their drug needs. Therefore, in order to avoid problems with drug interactions, you should use one pharmacy for all of your medications and keep a record of all prescription drugs, over the counter (OTC) drugs, and dietary supplements that you take. Nursing home staff must take extra precautions when distributing new prescription medications to nursing home residents. Many nursing home residents are on multiple medications for a variety of physical and mental conditions that are best treated with prescription drugs. These residents might be under the supervision of multiple doctors, and it is the nursing home’s responsibility to ensure that the doctors are aware of all the resident’s medications and changes in condition in order to avoid serious medical complications. Pharmacists and doctors have a duty to exercise reasonable care in prescribing and filling prescription drugs. When this duty is breached, serious injuries and even death can occur. Elderly adults are particularly susceptible to injuries stemming from pharmaceutical medication errors because many older adults take multiple medications. Furthermore, many older adults see multiple doctors for specialized care to treat specific injuries or illnesses. The increased number of prescription drugs and multiple drug providers can increase the likelihood for a pharmaceutical error. Older adults are also less able to prevent pharmaceutical errors because they might be less able to read the labels and warnings, be less able to understand the medication labels, and might be unable to provide doctors with a complete list of medications or medical information. Many older adults, especially those in nursing homes, rely on other people to fulfill their prescription needs. Therefore, additional care and caution must be taken when prescribing medications to older adults, especially those who rely on nursing home staff for medications and activities of daily living. If you or a member of your family has suffered injury because of a pharmaceutical error, you can bring a pharmaceutical malpractice or negligence action. In addition, if the worst occurs and the pharmaceutical malpractice results in the death of a loved one, you may also be entitled to bring a wrongful death action. (225 ILCS 85/) Pharmacy Practice Act. Sec. 1. The Practice of Pharmacy in the State of Illinois is declared a professional practice affecting the public health, safety and welfare and is subject to regulation and control in the public interest. It is further declared to be a matter of public interest and concern that the practice of pharmacy, as defined in this Act, merit and receive the confidence of the public and that only qualified persons be permitted to practice pharmacy in the State of Illinois. This Act shall be liberally construed to carry out these objects and purposes. Sec. 2. This Act shall be known as the Pharmacy Practice Act. Sec. 2.5. References to Department or Director of Professional Regulation. References in this Act (i) to the Department of Professional Regulation are deemed, in appropriate contexts, to be references to the Department of Financial and Professional Regulation and (ii) to the Director of Professional Regulation are deemed, in appropriate contexts, to be references to the Secretary of Financial and Professional Regulation. (a) “Pharmacy” or “drugstore” means and includes every store, shop, pharmacy department, or other place where pharmacist care is provided by a pharmacist (1) where drugs, medicines, or poisons are dispensed, sold or offered for sale at retail, or displayed for sale at retail; or (2) where prescriptions of physicians, dentists, advanced practice nurses, physician assistants, veterinarians, podiatrists, or optometrists, within the limits of their licenses, are compounded, filled, or dispensed; or (3) which has upon it or displayed within it, or affixed to or used in connection with it, a sign bearing the word or words “Pharmacist”, “Druggist”, “Pharmacy”, “Pharmaceutical Care”, “Apothecary”, “Drugstore”, “Medicine Store”, “Prescriptions”, “Drugs”, “Dispensary”, “Medicines”, or any word or words of similar or like import, either in the English language or any other language; or (4) where the characteristic prescription sign (Rx) or similar design is exhibited; or (5) any store, or shop, or other place with respect to which any of the above words, objects, signs or designs are used in any advertisement. (b) “Drugs” means and includes (l) articles recognized in the official United States Pharmacopoeia/National Formulary (USP/NF), or any supplement thereto and being intended for and having for their main use the diagnosis, cure, mitigation, treatment or prevention of disease in man or other animals, as approved by the United States Food and Drug Administration, but does not include devices or their components, parts, or accessories; and (2) all other articles intended for and having for their main use the diagnosis, cure, mitigation, treatment or prevention of disease in man or other animals, as approved by the United States Food and Drug Administration, but does not include devices or their components, parts, or accessories; and (3) articles (other than food) having for their main use and intended to affect the structure or any function of the body of man or other animals; and (4) articles having for their main use and intended for use as a component or any articles specified in clause (l), (2) or (3); but does not include devices or their components, parts or accessories. (c) “Medicines” means and includes all drugs intended for human or veterinary use approved by the United States Food and Drug Administration. (d) “Practice of pharmacy” means (1) the interpretation and the provision of assistance in the monitoring, evaluation, and implementation of prescription drug orders; (2) the dispensing of prescription drug orders; (3) participation in drug and device selection; (4) drug administration limited to the administration of oral, topical, injectable, and inhalation as follows: in the context of patient education on the proper use or delivery of medications; vaccination of patients 14 years of age and older pursuant to a valid prescription or standing order, by a physician licensed to practice medicine in all its branches, upon completion of appropriate training, including how to address contraindications and adverse reactions set forth by rule, with notification to the patient’s physician and appropriate record retention, or pursuant to hospital pharmacy and therapeutics committee policies and procedures; (5) drug regimen review; (6) drug or drug‑related research; (7) the provision of patient counseling; (8) the practice of telepharmacy; (9) the provision of those acts or services necessary to provide pharmacist care; (10) medication therapy management; and (11) the responsibility for compounding and labeling of drugs and devices (except labeling by a manufacturer, repackager, or distributor of non‑prescription drugs and commercially packaged legend drugs and devices), proper and safe storage of drugs and devices, and maintenance of required records. A pharmacist who performs any of the acts defined as the practice of pharmacy in this State must be actively licensed as a pharmacist under this Act. (e) “Prescription” means and includes any written, oral, facsimile, or electronically transmitted order for drugs or medical devices, issued by a physician licensed to practice medicine in all its branches, dentist, veterinarian, or podiatrist, or optometrist, within the limits of their licenses, by a physician assistant in accordance with subsection (f) of Section 4, or by an advanced practice nurse in accordance with subsection (g) of Section 4, containing the following: (l) name of the patient; (2) date when prescription was issued; (3) name and strength of drug or description of the medical device prescribed; and (4) quantity, (5) directions for use, (6) prescriber’s name, address and signature, and (7) DEA number where required, for controlled substances. DEA numbers shall not be required on inpatient drug orders. (f) “Person” means and includes a natural person, copartnership, association, corporation, government entity, or any other legal entity. (g) “Department” means the Department of Financial and Professional Regulation. (h) “Board of Pharmacy” or “Board” means the State Board of Pharmacy of the Department of Financial and Professional Regulation. (i) “Secretary” means the Secretary of Financial and Professional Regulation. (j) “Drug product selection” means the interchange for a prescribed pharmaceutical product in accordance with Section 25 of this Act and Section 3.14 of the Illinois Food, Drug and Cosmetic Act. (k) “Inpatient drug order” means an order issued by an authorized prescriber for a resident or patient of a facility licensed under the Nursing Home Care Act, the MR/DD Community Care Act, or the Hospital Licensing Act, or “An Act in relation to the founding and operation of the University of Illinois Hospital and the conduct of University of Illinois health care programs”, approved July 3, 1931, as amended, or a facility which is operated by the Department of Human Services (as successor to the Department of Mental Health and Developmental Disabilities) or the Department of Corrections. (k‑5) “Pharmacist” means an individual health care professional and provider currently licensed by this State to engage in the practice of pharmacy. (l) “Pharmacist in charge” means the licensed pharmacist whose name appears on a pharmacy license and who is responsible for all aspects of the operation related to the practice of pharmacy. (m) “Dispense” or “dispensing” means the interpretation, evaluation, and implementation of a prescription drug order, including the preparation and delivery of a drug or device to a patient or patient’s agent in a suitable container appropriately labeled for subsequent administration to or use by a patient in accordance with applicable State and federal laws and regulations. “Dispense” or “dispensing” does not mean the physical delivery to a patient or a patient’s representative in a home or institution by a designee of a pharmacist or by common carrier. “Dispense” or “dispensing” also does not mean the physical delivery of a drug or medical device to a patient or patient’s representative by a pharmacist’s designee within a pharmacy or drugstore while the pharmacist is on duty and the pharmacy is open. (n) “Nonresident pharmacy” means a pharmacy that is located in a state, commonwealth, or territory of the United States, other than Illinois, that delivers, dispenses, or distributes, through the United States Postal Service, commercially acceptable parcel delivery service, or other common carrier, to Illinois residents, any substance which requires a prescription. 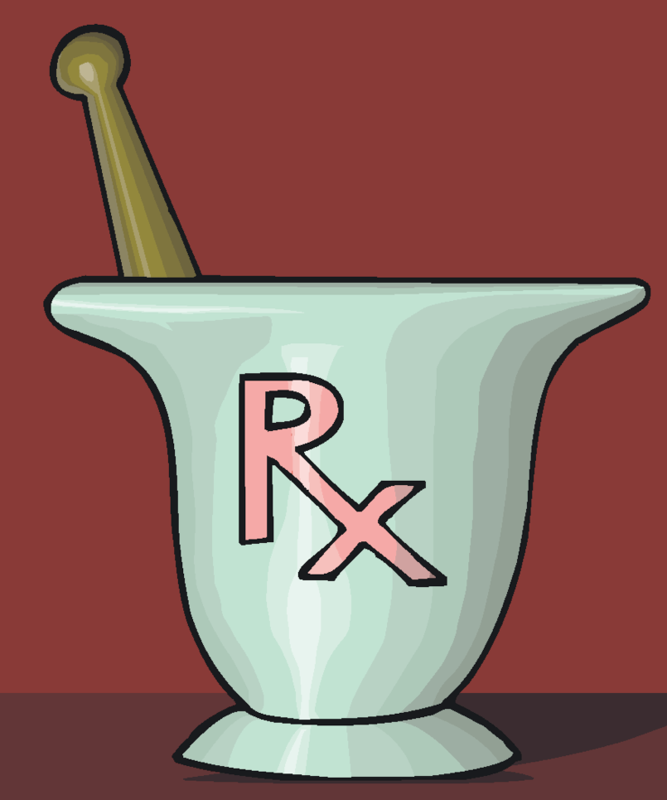 (o) “Compounding” means the preparation and mixing of components, excluding flavorings, (1) as the result of a prescriber’s prescription drug order or initiative based on the prescriber‑patient‑pharmacist relationship in the course of professional practice or (2) for the purpose of, or incident to, research, teaching, or chemical analysis and not for sale or dispensing. “Compounding” includes the preparation of drugs or devices in anticipation of receiving prescription drug orders based on routine, regularly observed dispensing patterns. Commercially available products may be compounded for dispensing to individual patients only if all of the following conditions are met: (i) the commercial product is not reasonably available from normal distribution channels in a timely manner to meet the patient’s needs and (ii) the prescribing practitioner has requested that the drug be compounded. (r) “Patient counseling” means the communication between a pharmacist or a pharmacy intern under the supervision of a pharmacist and a patient or the patient’s representative about the patient’s medication or device for the purpose of optimizing proper use of prescription medications or devices. “Patient counseling” may include without limitation (1) obtaining a medication history; (2) acquiring a patient’s allergies and health conditions; (3) facilitation of the patient’s understanding of the intended use of the medication; (4) proper directions for use; (5) significant potential adverse events; (6) potential food‑drug interactions; and (7) the need to be compliant with the medication therapy. A pharmacy technician may only participate in the following aspects of patient counseling under the supervision of a pharmacist: (1) obtaining medication history; (2) providing the offer for counseling by a pharmacist or intern; and (3) acquiring a patient’s allergies and health conditions. (s) “Patient profiles” or “patient drug therapy record” means the obtaining, recording, and maintenance of patient prescription information, including prescriptions for controlled substances, and personal information. (u) “Medical device” means an instrument, apparatus, implement, machine, contrivance, implant, in vitro reagent, or other similar or related article, including any component part or accessory, required under federal law to bear the label “Caution: Federal law requires dispensing by or on the order of a physician”. A seller of goods and services who, only for the purpose of retail sales, compounds, sells, rents, or leases medical devices shall not, by reasons thereof, be required to be a licensed pharmacy. (v) “Unique identifier” means an electronic signature, handwritten signature or initials, thumb print, or other acceptable biometric or electronic identification process as approved by the Department. (w) “Current usual and customary retail price” means the price that a pharmacy charges to a non‑third‑party payor. (x) “Automated pharmacy system” means a mechanical system located within the confines of the pharmacy or remote location that performs operations or activities, other than compounding or administration, relative to storage, packaging, dispensing, or distribution of medication, and which collects, controls, and maintains all transaction information. (y) “Drug regimen review” means and includes the evaluation of prescription drug orders and patient records for (1) known allergies; (2) drug or potential therapy contraindications; (3) reasonable dose, duration of use, and route of administration, taking into consideration factors such as age, gender, and contraindications; (4) reasonable directions for use; (5) potential or actual adverse drug reactions; (6) drug‑drug interactions; (7) drug‑food interactions; (8) drug‑disease contraindications; (9) therapeutic duplication; (10) patient laboratory values when authorized and available; (11) proper utilization (including over or under utilization) and optimum therapeutic outcomes; and (12) abuse and misuse. (z) “Electronic transmission prescription” means any prescription order for which a facsimile or electronic image of the order is electronically transmitted from a licensed prescriber to a pharmacy. “Electronic transmission prescription” includes both data and image prescriptions. (12) drug abuse and misuse. resources designed to enhance a patient’s adherence with his or her prescribed therapeutic regimens. patient care functions authorized by a physician licensed to practice medicine in all its branches for his or her identified patient or groups of patients under specified conditions or limitations in a standing order from the physician. therapeutics committee with respect to the fulfillment of medication orders. (bb) “Pharmacist care” means the provision by a pharmacist of medication therapy management services, with or without the dispensing of drugs or devices, intended to achieve outcomes that improve patient health, quality of life, and comfort and enhance patient safety. (dd) “Standing order” means a specific order for a patient or group of patients issued by a physician licensed to practice medicine in all its branches in Illinois. (ee) “Address of record” means the address recorded by the Department in the applicant’s or licensee’s application file or license file, as maintained by the Department’s licensure maintenance unit. (ff) “Home pharmacy” means the location of a pharmacy’s primary operations. (k) “Inpatient drug order” means an order issued by an authorized prescriber for a resident or patient of a facility licensed under the Nursing Home Care Act or the Hospital Licensing Act, or “An Act in relation to the founding and operation of the University of Illinois Hospital and the conduct of University of Illinois health care programs”, approved July 3, 1931, as amended, or a facility which is operated by the Department of Human Services (as successor to the Department of Mental Health and Developmental Disabilities) or the Department of Corrections. (r) “Patient counseling” means the communication between a pharmacist or a student pharmacist under the supervision of a pharmacist and a patient or the patient’s representative about the patient’s medication or device for the purpose of optimizing proper use of prescription medications or devices. “Patient counseling” may include without limitation (1) obtaining a medication history; (2) acquiring a patient’s allergies and health conditions; (3) facilitation of the patient’s understanding of the intended use of the medication; (4) proper directions for use; (5) significant potential adverse events; (6) potential food‑drug interactions; and (7) the need to be compliant with the medication therapy. A pharmacy technician may only participate in the following aspects of patient counseling under the supervision of a pharmacist: (1) obtaining medication history; (2) providing the offer for counseling by a pharmacist or student pharmacist; and (3) acquiring a patient’s allergies and health conditions. (g) the delegation of prescriptive authority by a physician licensed to practice medicine in all its branches or a licensed podiatrist to an advanced practice nurse in accordance with a written collaborative agreement under Sections 65‑35 and 65‑40 of the Nurse Practice Act. Sec. 5. Application of Act. (a) It shall be unlawful for any person to engage in the practice of pharmacy in this State and it shall be unlawful for any employer to allow any person in his or her employ to engage in the practice of pharmacy in this State, unless such person who shall engage in the practice of pharmacy in this State shall be first authorized to do so under the provisions of this Act. (b) Nothing contained in this Act shall be construed to invalidate any existing valid and unexpired certificate of registration, nor any existing rights or privileges thereunder, of any pharmacist, registered assistant pharmacist, local pharmacist, or registered pharmacy apprentice, in force on January 1, 1956 and issued under any prior Act of this State also in force on January 1, 1956. Every person holding such a certificate of registration shall have the authority to practice under this Act, but shall be subject to the same limitations and restrictions as were applicable to him or her in the Act under which his or her certificate of registration was issued. Each such certificate may be renewed as provided in Section 12. (c) It shall be unlawful for any person to take, use or exhibit any word, object, sign or design described in subsection (a) of Section 3 in connection with any drug store, shop or other place or in any other manner to advertise or hold himself out as operating or conducting a drug store unless such drug store, shop, pharmacy department or other place shall be operated and conducted in compliance with the provisions of this Act. (d) Nothing in this Act shall be construed to authorize a pharmacist to prescribe or perform medical diagnosis of human ailments or conditions. Sec. 5.5. Unlicensed practice; violation; civil penalty. (a) Any person who practices, offers to practice, attempts to practice, or holds oneself out to practice pharmacy without being licensed under this Act shall, in addition to any other penalty provided by law, pay a civil penalty to the Department in an amount not to exceed $5,000 for each offense as determined by the Department. The civil penalty shall be assessed by the Department after a hearing is held in accordance with the provisions set forth in this Act regarding the provision of a hearing for the discipline of a licensee. Sec. 5.7. Advertising services. A licensee shall include in every advertisement for services regulated under this Act his or her title as it appears on the license or the initials authorized under this Act. 5. that he or she has passed an examination recommended by the Board of Pharmacy and authorized by the Department. The Department shall issue a license as a registered pharmacist to any applicant who has qualified as aforesaid and who has filed the required applications and paid the required fees in connection therewith; and such registrant shall have the authority to practice the profession of pharmacy in this State. Sec. 7. Application; examination. Applications for original licenses shall be made to the Department in writing on forms prescribed by the Department and shall be accompanied by the required fee, which shall not be refundable. Any such application shall require such information as in the judgment of the Department will enable the Board and Department to pass on the qualifications of the applicant for a license. The Department shall authorize examinations of applicants as pharmacists not less than 3 times per year at such times and places as it may determine. The examination of applicants shall be of a character to give a fair test of the qualifications of the applicant to practice pharmacy. Applicants for examination as pharmacists shall be required to pay, either to the Department or the designated testing service, a fee covering the cost of providing the examination. Failure to appear for the examination on the scheduled date, at the time and place specified, after the applicant’s application for examination has been received and acknowledged by the Department or the designated testing service, shall result in the forfeiture of the examination fee. The examination shall be developed and provided by the National Association of Boards of Pharmacy. If an applicant neglects, fails or refuses to take an examination or fails to pass an examination for a license under this Act within 3 years after filing his application, the application is denied. However, such applicant may thereafter make a new application accompanied by the required fee and show evidence of meeting the requirements in force at the time of the new application. The Department shall notify applicants taking the examination of their results within 7 weeks of the examination date. Further, the Department shall have the authority to immediately authorize such applicants who successfully pass the examination to engage in the practice of pharmacy. An applicant shall have one year from the date of notification of successful completion of the examination to apply to the Department for a license. If an applicant fails to make such application within one year the applicant shall be required to again take and pass the examination. set forth in Section 6 of this Act, as well as those adopted by the Department by rule. The Department may employ consultants for the purpose of preparing and conducting examinations. Sec. 7.5. Social Security Number or unique identifying number on license application. In addition to any other information required to be contained in the application, every application for an original, renewal, or restored license under this Act shall include the applicant’s Social Security Number or other unique identifying number deemed appropriate by the Department. Sec. 8. Licensure by endorsement; emergency licensure. The Department may, in its discretion, license as a pharmacist, without examination, on payment of the required fee, an applicant who is so licensed under the laws of another U.S. jurisdiction or another country, if the requirements for licensure in the other jurisdiction in which the applicant was licensed, were, at the date of his or her licensure deemed by the Board to be substantially equivalent to the requirements then in force in this State. A person holding an active, unencumbered license in good standing in another jurisdiction who applies for a license pursuant to Section 7 of this Act due to a natural disaster or catastrophic event in another jurisdiction may be temporarily authorized by the Secretary to practice pharmacy pending the issuance of the license. This temporary authorization shall expire upon issuance of the license or upon notification that the Department has denied licensure. Upon a declared Executive Order due to an emergency caused by a natural or manmade disaster or any other exceptional situation that causes an extraordinary demand for pharmacist services, the Department may issue a pharmacist who holds a license to practice pharmacy in another state an emergency license to practice in this State. Sec. 9. Registration as pharmacy technician. Any person shall be entitled to registration as a registered pharmacy technician who is of the age of 16 or over, has not engaged in conduct or behavior determined to be grounds for discipline under this Act, is attending or has graduated from an accredited high school or comparable school or educational institution or received a GED, and has filed a written application for registration on a form to be prescribed and furnished by the Department for that purpose. The Department shall issue a certificate of registration as a registered pharmacy technician to any applicant who has qualified as aforesaid, and such registration shall be the sole authority required to assist licensed pharmacists in the practice of pharmacy, under the supervision of a licensed pharmacist. A registered pharmacy technician may, under the supervision of a pharmacist, assist in the practice of pharmacy and perform such functions as assisting in the dispensing process, offering counseling, receiving new verbal prescription orders, and having prescriber contact concerning prescription drug order clarification. A registered pharmacy technician may not engage in patient counseling, drug regimen review, or clinical conflict resolution. Beginning on January 1, 2010, within 2 years after initial registration as a registered technician, a pharmacy technician must become certified by successfully passing the Pharmacy Technician Certification Board (PTCB) examination or another Board‑approved pharmacy technician examination and register as a certified pharmacy technician with the Department in order to continue to perform pharmacy technician’s duties. This requirement does not apply to pharmacy technicians registered prior to January 1, 2008. Any person registered as a pharmacy technician who is also enrolled in a first professional degree program in pharmacy in a school or college of pharmacy or a department of pharmacy of a university approved by the Department or has graduated from such a program within the last 18 months, shall be considered a “student pharmacist” and entitled to use the title “student pharmacist”. A student pharmacist must meet all of the requirements for registration as a pharmacy technician set forth in this Section excluding the requirement of certification prior to the second registration renewal and pay the required pharmacy technician registration fees. A student pharmacist may, under the supervision of a pharmacist, assist in the practice of pharmacy and perform any and all functions delegated to him or her by the pharmacist. Any person seeking licensure as a pharmacist who has graduated from a pharmacy program outside the United States must register as a pharmacy technician and shall be considered a “student pharmacist” and be entitled to use the title “student pharmacist” while completing the 1,200 clinical hours of training approved by the Board of Pharmacy described and for no more than 18 months after completion of these hours. These individuals are not required to become certified pharmacy technicians while completing their Board approved clinical training, but must become licensed as a pharmacist or become a certified pharmacy technician before the second pharmacy technician registration renewal following completion of the Board approved clinical training. The Department shall not renew the pharmacy technician license of any person who has been registered as a “student pharmacist” and has dropped out of or been expelled from an ACPE accredited college of pharmacy, who has failed to complete his or her 1,200 hours of Board approved clinical training within 24 months or who has failed the pharmacist licensure examination 3 times and shall require these individuals to meet the requirements of and become registered a certified pharmacy technician. The Department may take any action set forth in Section 30 of this Act with regard to registrations pursuant to this Section. Any person who is enrolled in a non‑traditional Pharm.D. program at an ACPE accredited college of pharmacy and is a licensed pharmacist under the laws of another United States jurisdiction shall be permitted to engage in the program of practice experience required in the academic program by virtue of such license. Such person shall be exempt from the requirement of registration as a registered pharmacy technician while engaged in the program of practice experience required in the academic program. An applicant for registration as a pharmacy technician may assist a pharmacist in the practice of pharmacy for a period of up to 60 days prior to the issuance of a certificate of registration if the applicant has submitted the required fee and an application for registration to the Department. The applicant shall keep a copy of the submitted application on the premises where the applicant is assisting in the practice of pharmacy. The Department shall forward confirmation of receipt of the application with start and expiration dates of practice pending registration. Sec. 9.5. Certified pharmacy technician. the form and manner prescribed by the Department. (2) He or she has attained the age of 18.
technician training meeting the requirements set forth in subsection (a) of Section 17.1 of this Act or (ii) obtained documentation from the pharmacist‑in‑charge of the pharmacy where the applicant is employed verifying that he or she has successfully completed a training program and has successfully completed an objective assessment mechanism prepared in accordance with rules established by the Department. accredited by the National Organization of Certifying Agencies, as approved and required by the Board. suspended, or restricted for disciplinary purposes may be eligible to be registered as a certified pharmacy technician. requirements for certification under this Section. (d) A person who is not a registered pharmacy technician and meets the requirements of this Section may register as a certified pharmacy technician without first registering as a pharmacy technician. Sec. 10. State Board of Pharmacy. There is created in the Department the State Board of Pharmacy. It shall consist of 9 members, 7 of whom shall be licensed pharmacists. Each of those 7 members must be a licensed pharmacist in good standing in this State, a graduate of an accredited college of pharmacy or hold a Bachelor of Science degree in Pharmacy and have at least 5 years’ practical experience in the practice of pharmacy subsequent to the date of his licensure as a licensed pharmacist in the State of Illinois. There shall be 2 public members, who shall be voting members, who shall not be licensed pharmacists in this State or any other state. Each member shall be appointed by the Governor. Members shall be appointed to 5 year terms. The Governor shall fill any vacancy for the remainder of the unexpired term. Partial terms over 3 years in length shall be considered full terms. A member may be reappointed for a successive term, but no member shall serve more than 2 full terms in his or her lifetime. In making the appointment of members on the Board, the Governor shall give due consideration to recommendations by the members of the profession of pharmacy and by pharmacy organizations therein. The Governor shall notify the pharmacy organizations promptly of any vacancy of members on the Board and in appointing members shall give consideration to individuals engaged in all types and settings of pharmacy practice. The Governor may remove any member of the Board for misconduct, incapacity or neglect of duty and he shall be the sole judge of the sufficiency of the cause for removal. Each member of the Board shall be reimbursed for such actual and legitimate expenses as he may incur in going to and from the place of meeting and remaining thereat during sessions of the Board. In addition, each member of the Board may receive a per diem payment in an amount determined from time to time by the Director for attendance at meetings of the Board and conducting other official business of the Board. The Board shall hold quarterly meetings at such times and places and upon notice as the Department may determine and as its business may require. A majority of the Board members currently appointed shall constitute a quorum. A vacancy in the membership of the Board shall not impair the right of a quorum to exercise all the rights and perform all the duties of the Board. The Board shall exercise the rights, powers and duties which have been vested in the Board under this Act, and any other duties conferred upon the Board by law. (b) The suspension, revocation, placing on probationary status, reprimand, and refusing to issue or restore any license or certificate of registration issued under the provisions of this Act for the reasons set forth in Section 30 of this Act. (c) The issuance, renewal, restoration or reissuance of any license or certificate which has been previously refused to be issued or renewed, or has been revoked, suspended or placed on probationary status. would, in the particular case, be unreasonable or unnecessarily burdensome. The Director shall notify the State Board of Pharmacy of the granting of such variance and the reasons therefor, at the next meeting of the Board. (d) The Secretary shall appoint a chief pharmacy coordinator and at least 2 deputy pharmacy coordinators, all of whom shall be registered pharmacists in good standing in this State, shall be graduates of an accredited college of pharmacy or hold, at a minimum, a bachelor of science degree in pharmacy, and shall have at least 5 years of experience in the practice of pharmacy immediately prior to his or her appointment. The chief pharmacy coordinator shall be the executive administrator and the chief enforcement officer of this Act. The deputy pharmacy coordinators shall report to the chief pharmacy coordinator. The Secretary shall assign at least one deputy pharmacy coordinator to a region composed of Cook County and such other counties as the Secretary may deem appropriate, and such deputy pharmacy coordinator shall have his or her primary office in Chicago. The Secretary shall assign at least one deputy pharmacy coordinator to a region composed of the balance of counties in the State, and such deputy pharmacy coordinator shall have his or her primary office in Springfield. (e) The Secretary shall, in conformity with the Personnel Code, employ not less than 4 pharmacy investigators who shall report to the pharmacy coordinator or a deputy pharmacy coordinator. Each pharmacy investigator shall be a graduate of a 4‑year college or university and shall (i) have at least 2 years of investigative experience; (ii) have 2 years of responsible pharmacy experience; or (iii) be a licensed pharmacist. The Department shall also employ at least one attorney to prosecute violations of this Act and its rules. The Department may, in conformity with the Personnel Code, employ such clerical and other employees as are necessary to carry out the duties of the Board and Department. The duly authorized pharmacy investigators of the Department shall have the right to enter and inspect, during business hours, any pharmacy or any other place in this State holding itself out to be a pharmacy where medicines, drugs or drug products, or proprietary medicines are sold, offered for sale, exposed for sale, or kept for sale. Sec. 12. Expiration of license; renewal. The expiration date and renewal period for each license and certificate of registration issued under this Act shall be set by rule. As a condition for the renewal of a certificate of registration as a pharmacist, the registrant shall provide evidence to the Department of completion of a total of 30 hours of pharmacy continuing education during the 24 months preceding the expiration date of the certificate. Such continuing education shall be approved by the Accreditation Council on Pharmacy Education. The Department shall establish by rule a means for the verification of completion of the continuing education required by this Section. This verification may be accomplished through audits of records maintained by registrants, by requiring the filing of continuing education certificates with the Department or a qualified organization selected by the Department to maintain such records or by other means established by the Department. Rules developed under this Section may provide for a reasonable biennial fee, not to exceed $20, to fund the cost of such recordkeeping. The Department shall, by rule, further provide an orderly process for the reinstatement of licenses which have not been renewed due to the failure to meet the continuing education requirements of this Section. The requirements of continuing education may be waived, in whole or in part, in cases of extreme hardship as defined by rule of the Department. Such waivers shall be granted for not more than one of any 3 consecutive renewal periods. Any pharmacist who has permitted his license to expire or who has had his license on inactive status may have his license restored by making application to the Department and filing proof acceptable to the Department of his fitness to have his license restored, and by paying the required restoration fee. The Department shall determine, by an evaluation program established by rule his fitness for restoration of his license and shall establish procedures and requirements for such restoration. However, any pharmacist who demonstrates that he has continuously maintained active practice in another jurisdiction pursuant to a license in good standing, and who has substantially complied with the continuing education requirements of this Section shall not be subject to further evaluation for purposes of this Section. Any licensee who shall engage in the practice for which his or her license was issued while the license is expired or on inactive status shall be considered to be practicing without a license which, shall be grounds for discipline under Section 30 of this Act. Any pharmacy operating on an expired license is engaged in the unlawful practice of pharmacy and is subject to discipline under Section 30 of this Act. A pharmacy whose license has been expired for one year or more may not have its license restored but must apply for a new license and meet all requirements for licensure. Any pharmacy whose license has been expired for less than one year may apply for restoration of its license and shall have its license restored. However, any pharmacist whose license expired while he was (l) in Federal Service on active duty with the Armed Forces of the United States, or the State Militia called into service or training, or (2) in training or education under the supervision of the United States preliminary to induction into the military service, may have his license or certificate restored without paying any lapsed renewal fees, if within 2 years after honorable termination of such service, training or education he furnishes the Department with satisfactory evidence to the effect that he has been so engaged and that his service, training or education has been so terminated. Sec. 13. Inactive status. Any pharmacist or pharmacy technician who notifies the Department, in writing on forms prescribed by the Department, may elect to place his or her license on an inactive status and shall be excused from payment of renewal fees and completion of continuing education requirements until he or she notifies the Department in writing of his or her intent to restore his license. Any pharmacist or pharmacist technician requesting restoration from inactive status shall be required to pay the current renewal fee and shall be required to restore his or her license or certificate, as provided by rule of the Department. Any pharmacist or pharmacist technician whose license is in inactive status shall not practice in the State of Illinois. A pharmacy license may not be placed on inactive status. Continued practice on a license which has lapsed or been placed on inactive status shall be considered to be practicing without a license. Sec. 14.1. Structural and equipment requirements. The Department shall establish structural and equipment requirements for a pharmacy by rule. (c) The pharmacy is licensed under this Act to conduct the practice of pharmacy in any and all forms from the physical address of the pharmacy’s primary inventory where U.S. mail is delivered. If a facility, company, or organization operates multiple pharmacies from multiple physical addresses, a separate pharmacy license is required for each different physical address. (d) The Department may allow a pharmacy that is not located at the same location as its home pharmacy and at which pharmacy services are provided during an emergency situation, as defined by rule, to be operated as an emergency remote pharmacy. An emergency remote pharmacy operating under this subsection (d) shall operate under the license of the home pharmacy. The Secretary may waive the requirement for a pharmacist to be on duty at all times for State facilities not treating human ailments. This waiver of the requirement remains in effect until it is rescinded by the Secretary and the Department provides written notice of the rescission to the State facility. It shall be unlawful for any person, who is not a licensed pharmacy or health care facility, to purport to be such or to use in name, title, or sign designating, or in connection with that place of business, any of the words: “pharmacy”, “pharmacist”, “pharmacy department”, “apothecary”, “druggist”, “drug”, “drugs”, “medicines”, “medicine store”, “drug sundries”, “prescriptions filled”, or any list of words indicating that drugs are compounded or sold to the lay public, or prescriptions are dispensed therein. Each day during which, or a part which, such representation is made or appears or such a sign is allowed to remain upon or in such a place of business shall constitute a separate offense under this Act. The holder of any license or certificate of registration shall conspicuously display it in the pharmacy in which he is engaged in the practice of pharmacy. The pharmacist in charge shall conspicuously display his name in such pharmacy. The pharmacy license shall also be conspicuously displayed. (a) Uncoordinated multiple controlled substances and drug seeking tendencies pose a significant threat to the health, safety, and welfare of patients. To address this threat, the General Assembly believes a physician who prescribes controlled substances should be provided with prescription information from pharmacies. (b) Upon request, a pharmacist shall provide a physician licensed to practice medicine in all its branches who is prepared to prescribe or has prescribed a controlled substance for a patient with information from the patient’s most recent patient profile, including information about any prescriptions for controlled substances. Sec. 16. The Department shall require and provide for the licensure of every pharmacy doing business in this State. Such licensure shall expire 30 days after the pharmacist in charge dies or leaves the place where the pharmacy is licensed or after such pharmacist’s license has been suspended or revoked. In the event the designated pharmacist in charge dies or otherwise ceases to function in that capacity, or when the license of the pharmacist in charge has been suspended or revoked, the owner of the pharmacy shall be required to notify the Department, on forms provided by the Department, of the identity of the new pharmacist in charge. It is the duty of every pharmacist in charge who ceases to function in that capacity to report to the Department within 30 days of the date on which he ceased such functions for such pharmacy. It is the duty of every owner of a pharmacy licensed under this Act to report to the Department within 30 days of the date on which the pharmacist in charge died or ceased to function in that capacity. Failure to provide such notification to the Department shall be grounds for disciplinary action. No license shall be issued to any pharmacy unless such pharmacy has a pharmacist in charge and each such pharmacy license shall indicate on the face thereof the pharmacist in charge. Sec. 16a. (a) The Department shall establish rules and regulations, consistent with the provisions of this Act, governing nonresident pharmacies, including pharmacies providing services via the Internet, which sell, or offer for sale, drugs, medicines, or other pharmaceutical services in this State. not less than 6 days per week, for a minimum of 40 hours per week, a toll‑free telephone service is provided to facilitate communication between patients in this State and a pharmacist at the pharmacy who has access to the patients’ records. The toll‑free number must be disclosed on the label affixed to each container of drugs dispensed to residents of this State. Sec. 16b. Prescription pick up and drop off. Nothing contained in this Act shall prohibit a pharmacist or pharmacy, by means of its employee or by use of a common carrier or the U.S. mail, at the request of the patient, from picking up prescription orders from the prescriber or delivering prescription drugs to the patient or the patient’s agent at the residence or place of employment of the person for whom the prescription was issued or at the hospital or medical care facility in which the patient is confined. Conversely, the patient or patient’s agent may drop off prescriptions at a designated area. Sec. 17. Disposition of legend drugs on cessation of pharmacy operations. (a) The pharmacist in charge of a pharmacy which has its pharmacy license revoked or otherwise ceases operation shall notify the Department and forward to the Department a copy of the closing inventory of controlled substances and a statement indicating the intended manner of disposition of all legend drugs and prescription files within 30 days of such revocation or cessation of operation. (b) The Department shall approve the intended manner of disposition of all legend drugs prior to disposition of such drugs by the pharmacist in charge. charge of approval of the manner of disposition of all legend drugs, or disapproval accompanied by reasons for such disapproval, within 30 days of receipt of the statement from the pharmacist in charge. In the event that the manner of disposition is not approved, the pharmacist in charge shall notify the Department of an alternative manner of disposition within 30 days of the receipt of disapproval. occur within 30 days after approval is received from the Department, or if no alternative method of disposition is submitted to the Department within 30 days of the Department’s disapproval, the Director shall notify the pharmacist in charge by mail at the address of the closing pharmacy, of the Department’s intent to confiscate all legend drugs. The Notice of Intent to Confiscate shall be the final administrative decision of the Department, as that term is defined in the Administrative Review Law, and the confiscation of all prescription drugs shall be effected. (b‑5) In the event that the pharmacist in charge has died or is otherwise physically incompetent to perform the duties of this Section, the owner of a pharmacy that has its license revoked or otherwise ceases operation shall be required to fulfill the duties otherwise imposed upon the pharmacist in charge. (c) The pharmacist in charge of a pharmacy which acquires prescription files from a pharmacy which ceases operation shall be responsible for the preservation of such acquired prescriptions for the remainder of the term that such prescriptions are required to be preserved by this Act. (d) Failure to comply with this Section shall be grounds for denying an application or renewal application for a pharmacy license or for disciplinary action against a registration. (e) Compliance with the provisions of the Illinois Controlled Substances Act concerning the disposition of controlled substances shall be deemed compliance with this Section with respect to legend drugs which are controlled substances. Sec. 17.1. Pharmacy technician training. (3) Compounding, packaging, labeling, and storage. (4) Pharmaceutical and medical terminology. (b) Within 6 months after initial employment or changing the duties and responsibilities of a pharmacy technician, it shall be the joint responsibility of the pharmacy and the pharmacist in charge to train the pharmacy technician or obtain proof of prior training in the areas listed in subsection (a) of this Section as they relate to the practice site or to document that the pharmacy technician is making appropriate progress. (c) All pharmacies shall maintain an up‑to‑date training program describing the duties and responsibilities of a pharmacy technician. (d) All pharmacies shall create and maintain retrievable records of training or proof of training as required in this Section. Sec. 18. Record retention. Except as provided in subsection (b), there shall be kept in every drugstore or pharmacy a suitable book, file, or electronic record keeping system in which shall be preserved for a period of not less than 5 years the original, or an exact, unalterable image, of every written prescription and the original transcript or copy of every verbal prescription filled, compounded, or dispensed, in such pharmacy; and such book or file of prescriptions shall at all reasonable times be open to inspection to the pharmacy coordinator and the duly authorized agents or employees of the Department. Every prescription filled or refilled shall contain the unique identifiers of the persons authorized to practice pharmacy under the provision of this Act who fills or refills the prescription. or recorded in a data processing system, provided that such order can be produced in printed form upon lawful request. As used in this Section, “digital imaging system” means a system, including people, machines, methods of organization, and procedures, that provides input, storage, processing, communications, output, and control functions for digitized representations of original prescription records. Inpatient drug orders may be maintained within an institution in a manner approved by the Department. at such other pharmacy must be canceled before he or she will be able to fill or refill it. file at such other pharmacy and that such prescription may be filled or refilled, as requested, in accordance with the prescriber’s intent expressed on such prescription. file that the prescription must be canceled. name of the pharmacy at which the prescription was on file, the prescription number, the name of the drug and the original amount dispensed, the date of original dispensing, and the number of remaining authorized refills. refilling of the prescription when the prescription, in the professional judgment of the dispensing pharmacist, so requires. face of the prescription, the name of the requesting pharmacy and pharmacist and the date of request. word “void” on its face or the electronic equivalent, if not in written format. No further prescription information shall be given or medication dispensed pursuant to such original prescription. (3) In the event that, after the information set forth in subparagraph (d) of paragraph (1) of this Section has been provided, a prescription is not dispensed by the requesting pharmacist, then such pharmacist shall provide notice of this fact to the pharmacy from which such information was obtained; such notice shall then cancel the prescription in the same manner as set forth in subparagraph (c) of paragraph (2) of this Section. (4) When filling or refilling a valid prescription on file in another state, the dispensing pharmacist shall be required to follow all the requirements of Illinois law which apply to the dispensing of prescription drugs. If anything in Illinois law prevents the filling or refilling of the original prescription it shall be unlawful to dispense pursuant to this Section. (5) Prescriptions for drugs in Schedules III, IV, and V of the Illinois Controlled Substances Act may be transferred only once and may not be further transferred. However, pharmacies electronically sharing a real‑time, online database may transfer up to the maximum refills permitted by the law and the prescriber’s authorization. Sec. 20. Two or more pharmacies may establish and use a common electronic file to maintain required dispensing information. Pharmacies using such a common electronic file are not required to physically transfer prescriptions or information for dispensing purposes between or among pharmacies participating in the same common prescription file; provided, however any such common file must contain complete and adequate records of such prescription and refill dispensed as stated in Section 18. The Department and Board may formulate such rules and regulations, not inconsistent with law, as may be necessary to carry out the purposes of and to enforce the provisions of this Section within the following exception: The Department and Board shall not impose greater requirements on either common electronic files or a hard copy record system. Drugs shall in no event be dispensed more frequently or in larger amounts than the prescriber ordered without direct prescriber authorization by way of a new prescription order. The dispensing by a pharmacist licensed in this State or another state of a prescription contained in a common database shall not constitute a transfer, provided that (i) all pharmacies involved in the transactions pursuant to which the prescription is dispensed and all pharmacists engaging in dispensing functions are properly licensed, permitted, or registered in this State or another jurisdiction, (ii) a policy and procedures manual that governs all participating pharmacies and pharmacists is available to the Department upon request and includes the procedure for maintaining appropriate records for regulatory oversight for tracking a prescription during each stage of the filling and dispensing process, and (iii) the pharmacists involved in filling and dispensing the prescription and counseling the patient are identified. A pharmacist shall be accountable only for the specific tasks performed. Nothing in this Section shall prohibit a pharmacist who is exercising his or her professional judgment from dispensing additional quantities of medication up to the total number of dosage units authorized by the prescriber on the original prescription and any refills. Sec. 22. Except only in the case of a drug, medicine or poison which is lawfully sold or dispensed, at retail, in the original and unbroken package of the manufacturer, packer, or distributor thereof, and which package bears the original label thereon showing the name and address of the manufacturer, packer, or distributor thereof, and the name of the drug, medicine, or poison therein contained, and the directions for its use, no person shall sell or dispense, at retail, any drug, medicine, or poison, without affixing to the box, bottle, vessel, or package containing the same, a label bearing the name of the article distinctly shown, and the directions for its use, with the name and address of the pharmacy wherein the same is sold or dispensed. However, in the case of a drug, medicine, or poison which is sold or dispensed pursuant to a prescription of a physician licensed to practice medicine in all of its branches, licensed dentist, licensed veterinarian, licensed podiatrist, or therapeutically or diagnostically certified optometrist authorized by law to prescribe drugs or medicines or poisons, the label affixed to the box, bottle, vessel, or package containing the same shall show: (a) the name and address of the pharmacy wherein the same is sold or dispensed; (b) the name or initials of the person, authorized to practice pharmacy under the provisions of this Act, selling or dispensing the same, (c) the date on which such prescription was filled; (d) the name of the patient; (e) the serial number of such prescription as filed in the prescription files; (f) the last name of the practitioner who prescribed such prescriptions; (g) the directions for use thereof as contained in such prescription; and (h) the proprietary name or names or the established name or names of the drugs, the dosage and quantity, except as otherwise authorized by regulation of the Department. Sec. 22a. Automated dispensing and storage systems. The Department shall establish rules governing the use of automated dispensing and storage systems. Sec. 22b. Automated pharmacy systems; remote dispensing. (a) Automated pharmacy systems must have adequate security and procedures to comply with federal and State laws and regulations and maintain patient confidentiality, as defined by rule. system shall be limited to pharmacists or personnel who are designated in writing by the pharmacist‑in‑charge and have completed documented training concerning their duties associated with the automated pharmacy system. system must be stored in compliance with this Act and the rules adopted under this Act, including the requirements for temperature, proper storage containers, handling of outdated drugs, prescription dispensing, and delivery. (d) An automated pharmacy system operated from a remote site shall be under the continuous supervision of a home pharmacy pharmacist. To qualify as continuous supervision, the pharmacist is not required to be physically present at the site of the automated pharmacy system if the system is supervised electronically by a pharmacist, as defined by rule. an automated pharmacy system after receipt of an original prescription drug order by a pharmacist at the home pharmacy. A pharmacist at the home pharmacy must control all operations of the automated pharmacy system and approve the release of the initial dose of a prescription drug order. Refills from an approved prescription drug order may be removed from the automated medication system after this initial approval. Any change made in the prescription drug order shall require a new approval by a pharmacist to release the drug. (f) If an automated pharmacy system uses removable cartridges or containers to store a drug, the stocking or restocking of the cartridges or containers may occur at a licensed wholesale drug distributor and be sent to the home pharmacy to be loaded after pharmacist verification by personnel designated by the pharmacist, provided that the individual cartridge or container is transported to the home pharmacy in a secure, tamper evident container. An automated pharmacy system must use a bar code verification or weight verification or electronic verification or similar process to ensure that the cartridge or container is accurately loaded into the automated pharmacy system. The pharmacist verifying the filling and labeling shall be responsible for ensuring that the cartridge or container is stocked or restocked correctly by personnel designated to load the cartridges or containers. An automated pharmacy system must use a bar code verification, electronic, or similar process, as defined by rule, to ensure that the proper medication is dispensed from the automated system. A record of each transaction with the automated pharmacy system must be maintained for 5 years. A prescription dispensed from an automated pharmacy system shall be deemed to have been approved by the pharmacist. No automated pharmacy system shall be operated prior to inspection and approval by the Department. Sec. 23. It is unlawful for a pharmacist or pharmacy to pay or promise to pay to any person who owns, operates, manages or is an employee of a hospital, nursing home or other health care facility or to any person authorized by law to prescribe drugs or to any entity in which a person authorized by law to prescribe drugs holds an interest, any rebate, refund, discount, commission or other valuable consideration for, on account of, or based upon income received or resulting from the sale or furnishing by any such pharmacy of drugs or devices, prescriptions or any other service to patients of the above specified persons, organizations or facilities. This shall not be deemed to include rent or other remunerations paid to an individual, partnership, or corporation by a pharmacist or pharmacy for the lease, rental, or use of space, owned or controlled, by the individual, partnership or corporation. Sec. 24. It shall be unlawful for any manufacturer or distributor of a prescription drug, or any person on behalf of such manufacturer or distributor, to distribute a prescription drug without charge or for less than its fair market value to any person directly or indirectly. (g) to a bona fide charity authorized to possess and dispense prescription drugs. Sec. 25. No person shall compound, or sell or offer for sale, or cause to be compounded, sold or offered for sale any medicine or preparation under or by a name recognized in the United States Pharmacopoeia National Formulary, for internal or external use, which differs from the standard of strength, quality or purity as determined by the test laid down in the United States Pharmacopoeia National Formulary official at the time of such compounding, sale or offering for sale. Nor shall any person compound, sell or offer for sale, or cause to be compounded, sold, or offered for sale, any drug, medicine, poison, chemical or pharmaceutical preparation, the strength or purity of which shall fall below the professed standard of strength or purity under which it is sold. Except as set forth in Section 26 of this Act, if the physician or other authorized prescriber, when transmitting an oral or written prescription, does not prohibit drug product selection, a different brand name or nonbrand name drug product of the same generic name may be dispensed by the pharmacist, provided that the selected drug has a unit price less than the drug product specified in the prescription. A generic drug determined to be therapeutically equivalent by the United States Food and Drug Administration (FDA) shall be available for substitution in Illinois in accordance with this Act and the Illinois Food, Drug and Cosmetic Act, provided that each manufacturer submits to the Director of the Department of Public Health a notification containing product technical bioequivalence information as a prerequisite to product substitution when they have completed all required testing to support FDA product approval and, in any event, the information shall be submitted no later than 60 days prior to product substitution in the State. On the prescription forms of prescribers, shall be placed a signature line and the words “may not substitute”. The prescriber, in his or her own handwriting, shall place a mark beside “may not substitute” to direct the pharmacist in the dispensing of the prescription. Preprinted or rubber stamped marks, or other deviations from the above prescription format shall not be permitted. The prescriber shall sign the form in his or her own handwriting to authorize the issuance of the prescription. In every case in which a selection is made as permitted by the Illinois Food, Drug and Cosmetic Act, the pharmacist shall indicate on the pharmacy record of the filled prescription the name or other identification of the manufacturer of the drug which has been dispensed. The selection of any drug product by a pharmacist shall not constitute evidence of negligence if the selected nonlegend drug product was of the same dosage form and each of its active ingredients did not vary by more than 1 percent from the active ingredients of the prescribed, brand name, nonlegend drug product. Failure of a prescribing physician to specify that drug product selection is prohibited does not constitute evidence of negligence unless that practitioner has reasonable cause to believe that the health condition of the patient for whom the physician is prescribing warrants the use of the brand name drug product and not another. The Department is authorized to employ an analyst or chemist of recognized or approved standing whose duty it shall be to examine into any claimed adulteration, illegal substitution, improper selection, alteration, or other violation hereof, and report the result of his investigation, and if such report justify such action the Department shall cause the offender to be prosecuted. Sec. 25.5. Centralized prescription filling. (a) In this Section, “centralized prescription filling” means the filling of a prescription by one pharmacy upon request by another pharmacy to fill or refill the prescription. “Centralized prescription filling” includes the performance by one pharmacy for another pharmacy of other pharmacy duties such as drug utilization review, therapeutic drug utilization review, claims adjudication, and the obtaining of refill authorizations. (b) A pharmacy licensed under this Act may perform centralized prescription filling for another pharmacy, provided that both pharmacies have the same owner or have a written contract specifying (i) the services to be provided by each pharmacy, (ii) the responsibilities of each pharmacy, and (iii) the manner in which the pharmacies shall comply with federal and State laws, rules, and regulations. Sec. 25.10. Remote prescription processing. (4) Performing a drug regimen review. or otherwise communicating with the prescriber concerning a patient’s prescription. concerning a patient’s prescription to the patient or patient’s agent, as defined in this Act. or have a written contract describing the scope of services to be provided and the responsibilities and accountabilities of each pharmacy in compliance with all federal and State laws and regulations related to the practice of pharmacy. file or have technology that allows sufficient information necessary to process a non‑dispensing function. pharmacy or in common electronic file shared by both pharmacies, provided that the system can produce a record at either location showing each processing task, the identity of the person performing each task, and the location where each task was performed. employee licensed as a pharmacist from accessing the employer pharmacy’s database from a pharmacist’s home or other remote location or home verification for the purpose of performing certain prescription processing functions, provided that the pharmacy establishes controls to protect the privacy and security of confidential records. (a) In this Section, “telepharmacy” means the provision of pharmacist care by a pharmacist that is accomplished through the use of telecommunications or other technologies to patients or their agents who are at a distance and are located within the United States, and which follows all federal and State laws, rules, and regulations with regard to privacy and security. pharmacy system must be stored in a secure location and may be recorded electronically. machine system may be used in conjunction with the pharmacy’s practice of telepharmacy after inspection and approval by the Department. pharmacy is performed by a pharmacist or student pharmacist. Sec. 25.20. Electronic visual image prescriptions. If a pharmacy’s computer system can capture an unalterable electronic visual image of the prescription drug order, the electronic image shall constitute the original prescription and a hard copy of the prescription drug order is not required. The computer system must be capable of maintaining, printing, and providing, upon a request by the Department, the Department’s compliance officers, and other authorized agents, all of the prescription information required by State law and regulations of the Department within 72 hours of the request. Sec. 26. Anti‑epileptic drug product selection prohibited. (a) The General Assembly finds that this Section is necessary for the immediate preservation of the public peace, health, and safety. “Anti‑epileptic drug means (i) any drug prescribed for the treatment of epilepsy or (ii) a drug used to treat or prevent seizures. “Epilepsy” means a neurological condition characterized by recurrent seizures. “Seizure” means a brief disturbance in the electrical activity of the brain. (c) When the prescribing physician has indicated on the original prescription “may not substitute”, a pharmacist may not interchange an anti‑epileptic drug or formulation of an anti‑epileptic drug for the treatment of epilepsy without notification and the documented consent of the prescribing physician and the patient or the patient’s parent, legal guardian, or spouse. This Section does not apply to medication orders issued for anti‑epileptic drugs for any in‑patient care in a licensed hospital. (a) The Department shall, by rule, provide for a schedule of fees to be paid for licenses and certificates. These fees shall be for the administration and enforcement of this Act, including without limitation original licensure and renewal and restoration of licensure. All fees are nonrefundable. (b) Applicants for any examination as a pharmacist shall be required to pay, either to the Department or to the designated testing service, a fee covering the cost of determining an applicant’s eligibility and providing the examination. Failure to appear for the examination on the scheduled date, at the time and place specified, after the applicant’s application for examination has been received and acknowledged by the Department or the designated testing service, shall result in the forfeiture of the examination fee. examination shall be required to pay, either to the Department or to the designated testing service, a fee covering the cost of determining an applicant’s eligibility and providing the examination. Failure to appear for the examination on the scheduled date, at the time and place specified, after the application for examination has been received and acknowledged by the Department or the designated testing service, shall result in the forfeiture of the examination fee. (d) All fees, fines, or penalties received by the Department under this Act shall be deposited in the Illinois State Pharmacy Disciplinary Fund hereby created in the State Treasury and shall be used by the Department in the exercise of its powers and performance of its duties under this Act, including, but not limited to, the provision for evidence in pharmacy investigations. Moneys in the Fund may be transferred to the Professions Indirect Cost Fund as authorized under Section 2105‑300 of the Department of Professional Regulation Law (20 ILCS 2105/2105‑300). The moneys deposited in the Illinois State Pharmacy Disciplinary Fund shall be invested to earn interest which shall accrue to the Fund. (e) From the money received for license renewal fees, $5 from each pharmacist fee, and $2.50 from each pharmacy technician fee, shall be set aside within the Illinois State Pharmacy Disciplinary Fund for the purpose of supporting a substance abuse program for pharmacists and pharmacy technicians. (f) A pharmacy, manufacturer of controlled substances, or wholesale distributor of controlled substances that is licensed under this Act and owned and operated by the State is exempt from licensure, registration, renewal, and other fees required under this Act. Pharmacists and pharmacy technicians working in facilities owned and operated by the State are not exempt from the payment of fees required by this Act and any rules adopted under this Act. Nothing in this subsection (f) shall be construed to prohibit the Department from imposing any fine or other penalty allowed under this Act. Sec. 28. Returned checks; fines. Any person who delivers a check or other payment to the Department that is returned to the Department unpaid by the financial institution upon which it is drawn shall pay to the Department, in addition to the amount already owed to the Department, a fine of $50. The fines imposed by this Section are in addition to any other discipline provided under this Act for unlicensed practice or practice on a nonrenewed license. The Department shall notify the person that payment of fees and fines shall be paid to the Department by certified check or money order within 30 calendar days of the notification. If, after the expiration of 30 days from the date of the notification, the person has failed to submit the necessary remittance, the Department shall automatically terminate the license or certificate or deny the application, without hearing. If, after termination or denial, the person seeks a license or certificate, he or she shall apply to the Department for restoration or issuance of the license or certificate and pay all fees and fines due to the Department. The Department may establish a fee for the processing of an application for restoration of a license or certificate to pay all expenses of processing this application. The Director may waive the fines due under this Section in individual cases where the Director finds that the fines would be unreasonable or unnecessarily burdensome. Sec. 29. The Department shall maintain a roster of the names and addresses of all licensees and registrants and of all persons whose licenses or registrations have been suspended or revoked. This roster shall be available upon written request and payment of the required fee. Sec. 30. Refusal, revocation, or suspension. incompetence or unfitness to practice. any provision of this Act or rules. request made by the Department for information. unethical conduct of a character likely to deceive, defraud or harm the public. foreign nation, if at least one of the grounds for the discipline is the same or substantially equivalent to those set forth herein. from any person, firm, corporation, partnership or association any fee, commission, rebate or other form of compensation for any professional services not actually or personally rendered. after having his license placed on probationary status has violated the terms of probation. provided at no cost by drug manufacturers. deterioration through the aging process, or loss of motor skill which results in the inability to practice the profession with reasonable judgment, skill or safety. been applied for or obtained by fraudulent means. state or federal court of or entered a plea of guilty, nolo contendere, or the equivalent in a state or federal court to any crime which is a felony or any misdemeanor related to the practice of pharmacy or which an essential element is dishonesty. alcohol, narcotics, stimulants or any other chemical agent or drug which results in the inability to practice with reasonable judgment, skill or safety. reports in the practice of pharmacy, including, but not limited to false records to support claims against the medical assistance program of the Department of Healthcare and Family Services (formerly Department of Public Aid) under the Public Aid Code. services including filing false statements for collection of fees for which services are not rendered, including, but not limited to, filing false statements for collection of monies for services not rendered from the medical assistance program of the Department of Healthcare and Family Services (formerly Department of Public Aid) under the Public Aid Code. a written or oral prescription in violation of law. Department audit of a prescription drug, including controlled substances, as that term is defined in this Act or in the Illinois Controlled Substances Act. impairment or disability, including without limitation deterioration through the aging process or loss of motor skills that results in the inability to practice with reasonable judgment, skill or safety, or mental incompetence, as declared by a court of competent jurisdiction. or poison in good faith. “Good faith”, for the purposes of this Section, has the meaning ascribed to it in subsection (u) of Section 102 of the Illinois Controlled Substances Act. “Good faith”, as used in this item (22), shall not be limited to the sale or dispensing of controlled substances, but shall apply to all prescription drugs. pharmacist by any registrant under this Act, or his or her agents or employees. Department any adverse final action taken against a pharmacist, pharmacist technician, or certified pharmacist technician by another licensing jurisdiction in any other state or any territory of the United States or any foreign jurisdiction, any governmental agency, any law enforcement agency, or any court for acts or conduct similar to acts or conduct that would constitute grounds for discipline as defined in this Section. accordance with Section 35.5 of this Act. violation of any State or federal law. (b) The Department may refuse to issue or may suspend the license or registration of any person who fails to file a return, or to pay the tax, penalty or interest shown in a filed return, or to pay any final assessment of tax, penalty or interest, as required by any tax Act administered by the Illinois Department of Revenue, until such time as the requirements of any such tax Act are satisfied. (c) The Department shall revoke the license or certificate of registration issued under the provisions of this Act or any prior Act of this State of any person who has been convicted a second time of committing any felony under the Illinois Controlled Substances Act, or who has been convicted a second time of committing a Class 1 felony under Sections 8A‑3 and 8A‑6 of the Illinois Public Aid Code. A person whose license or certificate of registration issued under the provisions of this Act or any prior Act of this State is revoked under this subsection (c) shall be prohibited from engaging in the practice of pharmacy in this State. (d) Fines may be imposed in conjunction with other forms of disciplinary action, but shall not be the exclusive disposition of any disciplinary action arising out of conduct resulting in death or injury to a patient. Fines shall be paid within 60 days or as otherwise agreed to by the Department. Any funds collected from such fines shall be deposited in the Illinois State Pharmacy Disciplinary Fund. (e) The entry of an order or judgment by any circuit court establishing that any person holding a license or certificate under this Act is a person in need of mental treatment operates as a suspension of that license. A licensee may resume his or her practice only upon the entry of an order of the Department based upon a finding by the Board that he or she has been determined to be recovered from mental illness by the court and upon the Board’s recommendation that the licensee be permitted to resume his or her practice. (f) The Department shall issue quarterly to the Board a status of all complaints related to the profession received by the Department. (g) In enforcing this Section, the Board or the Department, upon a showing of a possible violation, may compel any licensee or applicant for licensure under this Act to submit to a mental or physical examination or both, as required by and at the expense of the Department. The examining physician, or multidisciplinary team involved in providing physical and mental examinations led by a physician consisting of one or a combination of licensed physicians, licensed clinical psychologists, licensed clinical social workers, licensed clinical professional counselors, and other professional and administrative staff, shall be those specifically designated by the Department. The Board or the Department may order the examining physician or any member of the multidisciplinary team to present testimony concerning this mental or physical examination of the licensee or applicant. No information, report, or other documents in any way related to the examination shall be excluded by reason of any common law or statutory privilege relating to communication between the licensee or applicant and the examining physician or any member of the multidisciplinary team. The individual to be examined may have, at his or her own expense, another physician of his or her choice present during all aspects of the examination. Failure of any individual to submit to a mental or physical examination when directed shall be grounds for suspension of his or her license until such time as the individual submits to the examination if the Board finds, after notice and hearing, that the refusal to submit to the examination was without reasonable cause. If the Board finds a pharmacist, certified pharmacy technician, or pharmacy technician unable to practice because of the reasons set forth in this Section, the Board shall require such pharmacist, certified pharmacy technician, or pharmacy technician to submit to care, counseling, or treatment by physicians or other appropriate health care providers approved or designated by the Board as a condition for continued, reinstated, or renewed licensure to practice. Any pharmacist, certified pharmacy technician, or pharmacy technician whose license was granted, continued, reinstated, renewed, disciplined, or supervised, subject to such terms, conditions, or restrictions, and who fails to comply with such terms, conditions, or restrictions or to complete a required program of care, counseling, or treatment, as determined by the chief pharmacy coordinator or a deputy pharmacy coordinator, shall be referred to the Secretary for a determination as to whether the licensee shall have his or her license suspended immediately, pending a hearing by the Board. In instances in which the Secretary immediately suspends a license under this subsection (g), a hearing upon such person’s license must be convened by the Board within 15 days after such suspension and completed without appreciable delay. The Board shall have the authority to review the subject pharmacist’s, certified pharmacy technician’s, or pharmacy technician’s record of treatment and counseling regarding the impairment. Sec. 30.5. Suspension of license or certificate for failure to pay restitution. The Department, without further process or hearing, shall suspend the license or other authorization to practice of any person issued under this Act who has been certified by court order as not having paid restitution to a person under Section 8A‑3.5 of the Illinois Public Aid Code or under Section 46‑1 of the Criminal Code of 1961. A person whose license or other authorization to practice is suspended under this Section is prohibited from practicing until the restitution is made in full. Sec. 31. The Department may refuse to issue a license to establish a new licensed pharmacy if an owner of the pharmacy applying for a license was an owner of a pharmacy that had its license revoked, unless the owner presents sufficient evidence indicating rehabilitation. Once a complaint has been filed by the Department against a pharmacy the Department may refuse to issue a license to establish a new licensed pharmacy, until such time as the Department issues a decision on the complaint, if an owner of the new pharmacy was also an owner of a pharmacy against which the complaint was filed. Neither an application for change of ownership nor for a change of location for any such pharmacy shall be acted on by the Department until such time as the Department issues a decision on the complaint. In the event that the pharmacy against which the complaint has been filed ceases to be licensed by the Department, for any reason, prior to the Department’s decision on the complaint and an owner of that pharmacy applies for a license to establish a new pharmacy, the Department shall conduct a hearing on the complaint earlier filed, regardless of whether that pharmacy is presently licensed by the Department. If the conduct for which the complaint was originally filed would have been sufficient to result in a revocation of a license to operate a license pharmacy, then such conduct shall constitute sufficient grounds for denial of an application for a license. For purposes of this Section “owner” means a sole proprietor, partner or a shareholder who owns in excess of 5 percent of the outstanding shares of a corporation, or the spouse or children of such sole proprietor, partner or shareholder. The provision of this Section shall not apply to any pharmacy owned by a corporation whose shares of stock are publicly traded on a national stock exchange. Sec. 32. The Department shall render no final administrative decision relative to any application for a license or certificate of registration under this Act if the applicant for such license or certificate of registration is the subject of a pending disciplinary proceeding under this Act or another Act administered by the Department. For purposes of this Section “applicant” means an individual or sole proprietor, or an individual who is an officer, director or owner of a 5 percent or more beneficial interest of the applicant. Sec. 33. The Director of the Department may, upon receipt of a written communication from the Secretary of Human Services, the Director of Healthcare and Family Services (formerly Director of Public Aid), or the Director of Public Health that continuation of practice of a person licensed or registered under this Act constitutes an immediate danger to the public, immediately suspend the license or registration of such person without a hearing. In instances in which the Director immediately suspends a license or registration under this Act, a hearing upon such person’s license must be convened by the Board within 15 days after such suspension and completed without appreciable delay, such hearing held to determine whether to recommend to the Director that the person’s license be revoked, suspended, placed on probationary status or reinstated, or such person be subject to other disciplinary action. In such hearing, the written communication and any other evidence submitted therewith may be introduced as evidence against such person; provided however, the person, or his counsel, shall have the opportunity to discredit or impeach such evidence and submit evidence rebutting same. Sec. 34. The determination by a circuit court that a licensee is subject to involuntary admission or judicial admission as provided in the “Mental Health and Developmental Disabilities Code”, approved September 5, 1978, as now or hereafter amended operates as an automatic suspension. Such suspension will end only upon a finding by a court that the patient is no longer subject to involuntary admission or judicial admission and issues an order so finding and discharging the patient; and upon the recommendation of the Board to the Director that the licensee be allowed to resume his practice. Sec. 35.1. (a) If any person violates the provision of this Act, the Director may, in the name of the People of the State of Illinois, through the Attorney General of the State of Illinois, or the State’s Attorney of any county in which the action is brought, petition, for an order enjoining such violation or for an order enforcing compliance with this Act. Upon the filing of a verified petition in such court, the court may issue a temporary restraining order, without notice or bond, and may preliminarily and permanently enjoin such violation, and if it is established that such person has violated or is violating the injunction, the Court may punish the offender for contempt of court. Proceedings under this Section shall be in addition to, and not in lieu of, all other remedies and penalties provided by this Act. (b) If any person shall practice as a pharmacist or hold himself out as a pharmacist or operate a pharmacy or drugstore, including a nonresident pharmacy under Section 16a, without being licensed under the provisions of this Act, then any licensed pharmacist, any interested party or any person injured thereby may, in addition to the Director, petition for relief as provided in subsection (a) of this Section. Whoever knowingly practices or offers to practice in this State without being appropriately licensed or registered under this Act shall be guilty of a Class A misdemeanor and for each subsequent conviction, shall be guilty of a Class 4 felony. (c) Whenever in the opinion of the Department any person not licensed in good standing under this Act violates any provision of this Act, the Department may issue a rule to show cause why an order to cease and desist should not be entered against him. The rule shall clearly set forth the grounds relied upon by the Department and shall provide a period of 7 days from the date of the rule to file an answer to the satisfaction of the Department. Failure to answer to the satisfaction of the Department shall cause an order to cease and desist to be issued forthwith. Sec. 35.2. The Department’s pharmacy investigators may investigate the actions of any applicant or of any person or persons holding or claiming to hold a license or registration. The Department shall, before suspending, revoking, placing on probationary status, or taking any other disciplinary action as the Department may deem proper with regard to any license or certificate, at least 30 days prior to the date set for the hearing, notify the accused in writing of any charges made and the time and place for a hearing of the charges before the Board, direct him or her to file his or her written answer thereto to the Board under oath within 20 days after the service on him or her of such notice and inform him or her that if he or she fails to file such answer default will be taken against him or her and his or her license or certificate may be suspended, revoked, placed on probationary status, or have other disciplinary action, including limiting the scope, nature or extent of his or her practice, provided for herein. Such written notice may be served by personal delivery or certified or registered mail to the respondent at his or her address of record . At the time and place fixed in the notice, the Board shall proceed to hear the charges and the parties or their counsel shall be accorded ample opportunity to present such statements, testimony, evidence and argument as may be pertinent to the charges or to the defense thereto. Such hearing may be continued from time to time. In case the accused person, after receiving notice, fails to file an answer, his or her license or certificate may in the discretion of the Director, having received first the recommendation of the Board, be suspended, revoked, placed on probationary status, or the Director may take whatever disciplinary action as he or she may deem proper as provided herein, including limiting the scope, nature, or extent of said person’s practice, without a hearing, if the act or acts charged constitute sufficient grounds for such action under this Act. Sec. 35.3. The Department, at its expense, shall preserve a record of all proceedings at the formal hearing of any case involving the refusal to issue, renew or discipline of a license. The notice of hearing, complaint and all other documents in the nature of pleadings and written motions filed in the proceedings, the transcript of testimony, the report of the Board or hearing officer, and orders of the Department shall be the record of such proceeding. Sec. 35.4. Any circuit court may, upon application of the Department or its designee or of the applicant or licensee against whom proceedings upon Section 35.2 of this Act are pending, enter an order requiring the attendance of witnesses and their testimony, and the production of documents, papers, files, books and records in connection with any hearing or investigation. The court may compel obedience to its order by proceedings for contempt. Sec. 35.5. The Department shall have power to subpoena and bring before it any person in this State and to take testimony, either orally or by deposition or both, with the same fees and mileage and in the same manner as prescribed by law in judicial proceedings in civil cases in circuit courts of this State. The Department may subpoena and compel the production of documents, papers, files, books, and records in connection with any hearing or investigation. The Director, and any member of the Board, shall each have power to administer oaths to witnesses at any hearing which the Department is authorized to conduct under this Act, and any other oaths required or authorized to be administered by the Department hereunder. Sec. 35.6. At the conclusion of the hearing, the Board shall present to the Director a written report of its findings of fact, conclusions of law, and recommendations. The report shall contain a finding whether or not the accused person violated this Act or failed to comply with the conditions required in this Act. The Board shall specify the nature of the violation or failure to comply, and shall make its recommendations to the Director. The report of findings of fact, conclusions of law, and recommendations of the Board shall be the basis for the Department’s order or refusal or for the granting of a license or registration. The finding is not admissible in evidence against the person in a criminal prosecution brought for the violation of this Act, but the hearing and finding are not a bar to a criminal prosecution brought for the violation of this Act. Sec. 35.7. Notwithstanding the provisions of Section 35.6 of this Act, the Director shall have the authority to appoint any attorney duly licensed to practice law in the State of Illinois to serve as the hearing officer in any action before the Board for refusal to issue, renew, or discipline of a license or certificate. The Director shall notify the Board of any such appointment. The hearing officer shall have full authority to conduct the hearing. There shall be present at least one member of the Board at any such hearing. The hearing officer shall report his findings of fact, conclusions of law and recommendations to the Board and the Director. The Board shall have 60 days from receipt of the report to review the report of the hearing officer and present their findings of fact, conclusions of law, and recommendations to the Director. If the Board fails to present its report within the 60 day period, the respondent may request in writing a direct appeal to the Secretary, in which case the Secretary shall, within 7 calendar days after the request, issue an order directing the Board to issue its findings of fact, conclusions of law, and recommendations to the Secretary within 30 calendar days after such order. If the Board fails to issue its findings of fact, conclusions of law, and recommendations within that time frame to the Secretary after the entry of such order, the Secretary shall, within 30 calendar days thereafter, issue an order based upon the report of the hearing officer and the record of the proceedings or issue an order remanding the matter back to the hearing officer for additional proceedings in accordance with the order. If (i) a direct appeal is requested, (ii) the Board fails to issue its findings of fact, conclusions of law, and recommendations within the 30‑day mandate from the Secretary or the Secretary fails to order the Board to do so, and (iii) the Secretary fails to issue an order within 30 calendar days thereafter, then the hearing officer’s report is deemed accepted and a final decision of the Secretary. Notwithstanding any other provision of this Section, if the Secretary, upon review, determines that substantial justice has not been done in the revocation, suspension, or refusal to issue or renew a license or other disciplinary action taken as the result of the entry of the hearing officer’s report, the Secretary may order a rehearing by the same or other examiners. If the Secretary disagrees with the recommendation of the Board or the hearing officer, the Secretary may issue an order in contravention of the recommendation. Sec. 35.8. In any case involving the refusal to issue, renew or discipline of a license or registration, a copy of the Board’s report shall be served upon the respondent by the Department, either personally or as provided in this Act for the service of the notice of hearing. Within 20 days after such service, the respondent may present to the Department a motion in writing for a rehearing, which motion shall specify the particular grounds therefor. If no motion for rehearing is filed, then upon the expiration of the time specified for filing such a motion, or if a motion for rehearing is denied, then upon such denial the Director may enter an order in accordance with recommendations of the Board except as provided in Section 35.6 or 35.7 of this Act. If the respondent shall order from the reporting service, and pay for a transcript of the record within the time for filing a motion for rehearing, the 20 day period within which such a motion may be filed shall commence upon the delivery of the transcript to the respondent. Sec. 35.9. Whenever the Director is satisfied that substantial justice has not been done in the revocation, suspension or refusal to issue or renew a license or registration, the Director may order a rehearing by the same hearing officer and Board. Sec. 35.10. None of the disciplinary functions, powers and duties enumerated in this Act shall be exercised by the Department except upon the review of the Board. In all instances, under this Act, in which the Board has rendered a recommendation to the Director with respect to a particular license or certificate, the Director shall, in the event that he or she disagrees with or takes action contrary to the recommendation of the Board, file with the Board his or her specific written reasons of disagreement with the Board. Sec. 35.12. Notwithstanding the provisions herein concerning the conduct of hearings and recommendations for disciplinary actions, the Director shall have the authority to negotiate agreements with licensees and registrants resulting in disciplinary consent orders provided a Board member is present and the discipline is recommended by the Board member. Such consent orders may provide for any of the forms of discipline otherwise provided herein. Such consent orders shall provide that they were not entered into as a result of any coercion by the Department. Sec. 35.14. At any time after the suspension or revocation of any certificate, the Department may restore it to the accused person without examination, upon the written recommendation of the Board. Sec. 35.15. Upon the revocation or suspension of any license or registration, the holder shall forthwith surrender the license(s) or registration(s) to the Department and if the licensee fails to do so, the Department shall have the right to seize the license(s) or certificate(s). Sec. 35.16. The Secretary may temporarily suspend the license of a pharmacist or pharmacy, or the registration of a pharmacy technician or certified pharmacy technician, without a hearing, simultaneously with the institution of proceedings for a hearing provided for in Section 35.2 of this Act, if the Secretary finds that evidence in his possession indicates that a continuation in practice would constitute an imminent danger to the public. In the event that the Secretary suspends, temporarily, this license or registration without a hearing, a hearing by the Department must be held within 15 days after such suspension has occurred, and be concluded without appreciable delay. Sec. 35.17. All final administrative decisions of the Department are subject to judicial review pursuant to the provisions of the “Administrative Review Law”, as now or hereafter amended, and all rules adopted pursuant thereto. The term “administrative decision” is defined as in Section 3‑101 of the Code of Civil Procedure. Proceedings for judicial review shall be commenced in the circuit court of the county in which the party applying for review resides; but if the party is not a resident of this State, the venue shall be in Sangamon County. Sec. 35.18. Certification of record. The Department shall not be required to certify any record to the court or file any answer in court or otherwise appear in any court in a judicial review proceeding, unless there is filed in the court, with the complaint, a receipt from the Department acknowledging payment of the costs of furnishing and certifying the record. Failure on the part of the plaintiff to file a receipt in court shall be grounds for dismissal of the action. Sec. 35.19. Any person who is found to have violated any provision of this Act is guilty of a Class A misdemeanor. On conviction of a second or subsequent offense, the violator shall be guilty of a Class 4 felony. All criminal fines, monies, or other property collected or received by the Department under this Section or any other State or federal statute, including, but not limited to, property forfeited to the Department under Section 505 of The Illinois Controlled Substances Act, shall be deposited into the Illinois State Pharmacy Disciplinary Fund. Sec. 36. Administrative Procedure Act. The Illinois Administrative Procedure Act is hereby expressly adopted and incorporated herein as if all of the provisions of that Act were included in this Act, except that the provision of subsection (d) of Section 10‑65 of the Illinois Administrative Procedure Act that provides that at hearings the licensee has the right to show compliance with all lawful requirements for retention, continuation or renewal of the license is specifically excluded. For the purpose of this Act the notice required under Section 10‑25 of the Administrative Procedure Act is deemed sufficient when mailed to the last known address of a party. Sec. 37. In the event of a conflict between any provision of this Act and the Mental Health and Developmental Disabilities Confidentiality Act, the provisions of this Act shall govern. Sec. 38. It is declared to be the public policy of this State, pursuant to paragraphs (h) and (i) of Section 6 of Article VII of the Illinois Constitution of 1970, that any power or function set forth in this Act to be exercised by the State is an exclusive State power or function. Such power or function shall not be exercised concurrently, either directly or indirectly, by any unit of local government, including home rule units, except as otherwise provided in this Act. Sec. 39. All licenses and certificates of registration in effect on December 3l, 1987 and issued pursuant to the “Illinois Pharmacy Practice Act”, approved August 23, 1963, as amended, are reinstated for the balance of the term for which last issued. All rules and regulations in effect on December 3l, 1987 and promulgated pursuant to the “Illinois Pharmacy Practice Act”, approved August 23, 1963, as amended, shall remain in full force and effect on the effective date of this Act without being promulgated again by the Department, except to the extent any such rule or regulation is inconsistent with any provision of this Act. All disciplinary action, taken or pending, pursuant to the Illinois Pharmacy Practice Act, approved July 11, 1955, as amended, shall, for the actions taken remain in effect, and for the actions pending, shall be continued, on the effective date of this Act without having separate actions filed by the Department. Sec. 40. Severability clause. The provisions of this Act are severable under Section 1.31 of the Statute on Statutes. Sec. 41. Current usual and customary retail price disclosure. Upon request, a pharmacy must disclose the current usual and customary retail price of any brand or generic prescription drug or medical device that the pharmacy offers for sale to the public. This disclosure requirement applies only to requests made in person or by telephone for the prices of no more than 10 prescription drugs or medical devices for which the person making the request has a prescription. Prices quoted are for informational purposes only and are valid only on the day of inquiry. The requests must specify the name, strength and quantity of the prescription drug.